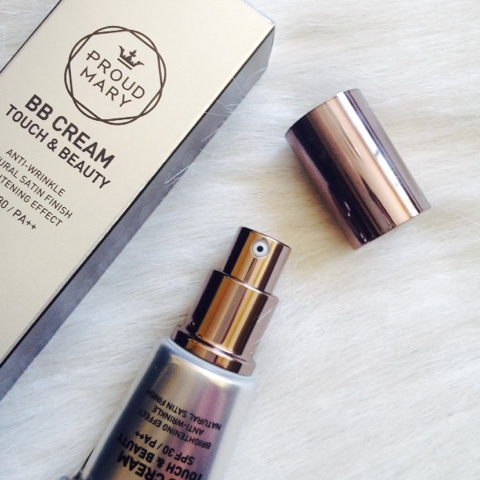 Proud Mary BB Cream Touch & Beauty* | Vanity and Everything in Between. 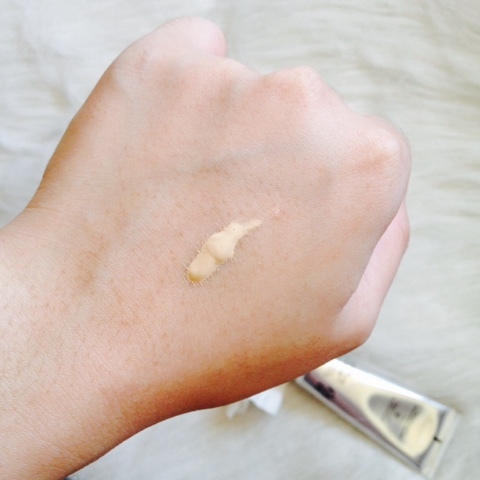 I swatched this immediately because I haven't used BB cream in a while. Plus, it's also not in cushion packaging [which is the new trend]. I still prefer the tube packaging because it contains more product that the cushion/compact type. Usually, BB creams only come in 30ml. But Proud Mary comes in 45ml. It also comes with a pump. And pumps for face products are God's give to makeup enthusiasts! Proud Mary comes in two shades: 21 and 23. I got the shade in #21 which is the lightest shade. 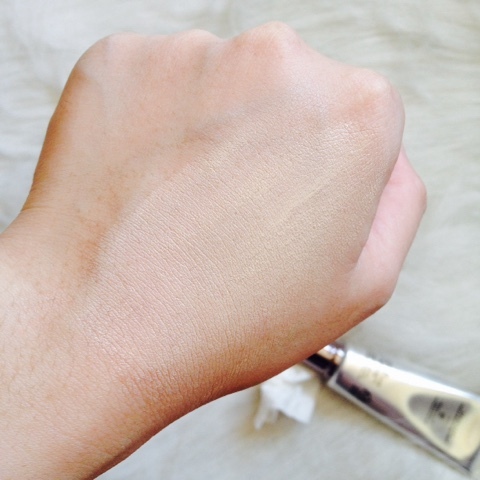 As mentioned, I swatched this immediately when I received the loot because #21 is usually lighter than my skin tone. I've always used #23 or #27 for BB creams. 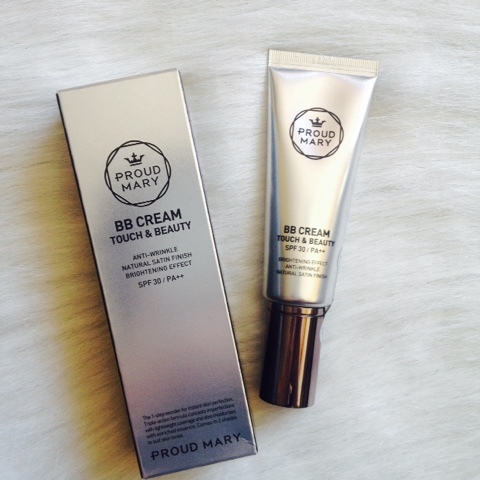 What I find different about this BB cream is that it's very rich in yellow undertones. Perfect for Asian women. 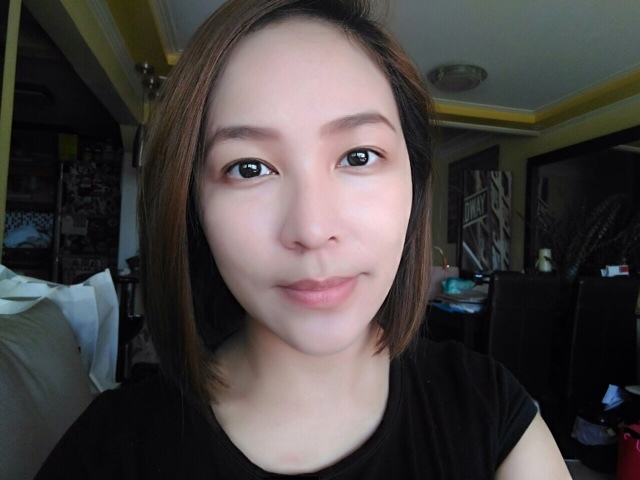 When blended on skin, you can see instantly how it brightened and made your skin flawless. Here's a photo of my pale face. Pardon the eyebags. I had a long night. Here's a photo of me with Proud Mary BB cream on my face. Just one layer is enough for me. As you can see, it brightened up my face. 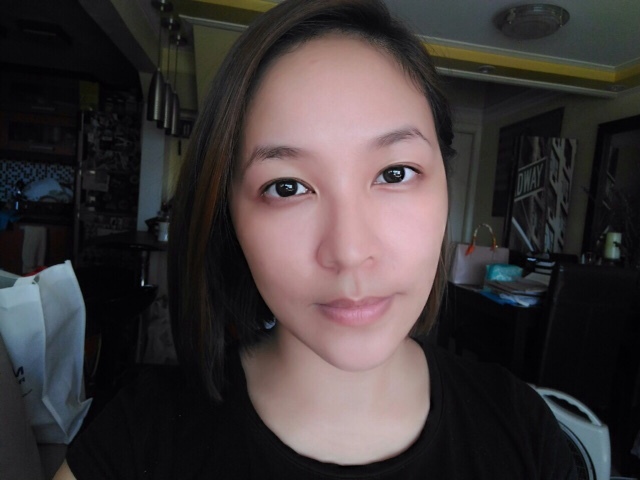 I could say it made my face look whiter but my facial skin is almost the same as my neck's. 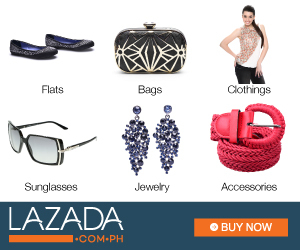 It has SPF 30, so no need to worry when sunlights hits your face. Just be mindful when you're taking photos as this doesn't spare you from having a white cast. It's probably the only con I have with BB creams - in general. What I do is use a setting powder that is one shade darker than my skin tone. It evens out the shade on photos. Trust me, it works. I've been using this for 2 months although not everyday. So far, so good. 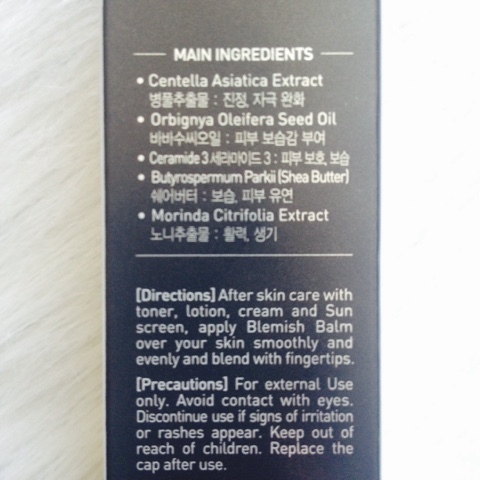 This BB cream improves wrinkles[lessens] but I don't really have wrinkles yet so I can't say anything about that. However, this saves my face from being nakedly exposed to sunlight. 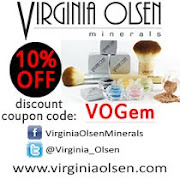 Sometimes, I use this as a highlighter on certain parts of my face because of its brightening properties. 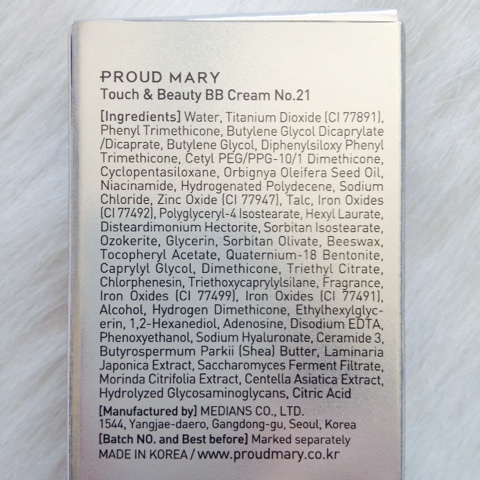 Proud Mary Touch & Beauty BB cream retails for Php1,199 and is available at purpletags.ph.